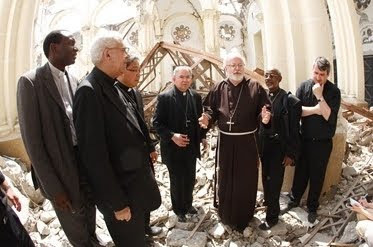 Since the March 23rd launch of new 3-D programming by CatholicTV, there has been a tremendous amount of attention and reaction by the public and the news media. 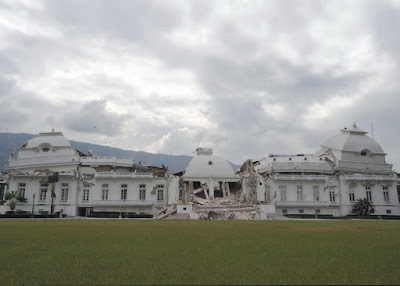 Articles have appeared in the Washington Post, New York Times, and even in India, Russia, and other foreign lands. 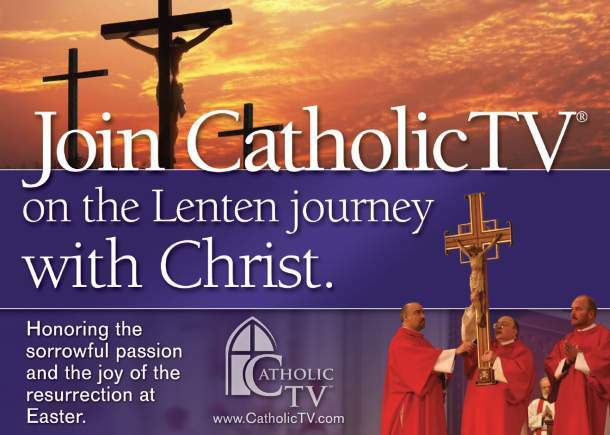 On March 23rd, CatholicTV announced that it would offer selected 3-D programming to viewers at CatholicTV.com. At the same time, CatholicTV announced that the April edition of its monthly magazine would also be in 3-D and would include a free pair of 3-D eyeglasses inside. As expected, not all response has been positive. Many news websites allow readers to comment and some see the open forum for commenting as an opportunity to voice their views about the Catholic Church in both positive and negative ways rather than commenting on the 3-D launch itself. Below are links to the CatholicTV 3-D programming as well as to its 3-D magazine. On April 6th, human trafficking, which is often linked to prostitution, will be discussed on the CatholicTV talk show “This is the Day”. Sister Carole Lombard, CSJ, Director of the Office of Justice and Peace for the Sisters of St. Joseph will discuss human trafficking on “This is the Day”. The Sisters of St. Joseph are known for their social justice ministries. The Sisters of St. Joseph in Boston have made a commitment to work to eliminate the root causes of human trafficking and to minister to victims of human trafficking in collaboration with others. Sister Helen Prejean, CSJ who authored the book Dead Man Walking, is also a Sister of St. Joseph. The Sisters of St. Joseph work in a variety of professions including law, nursing, music, and education. 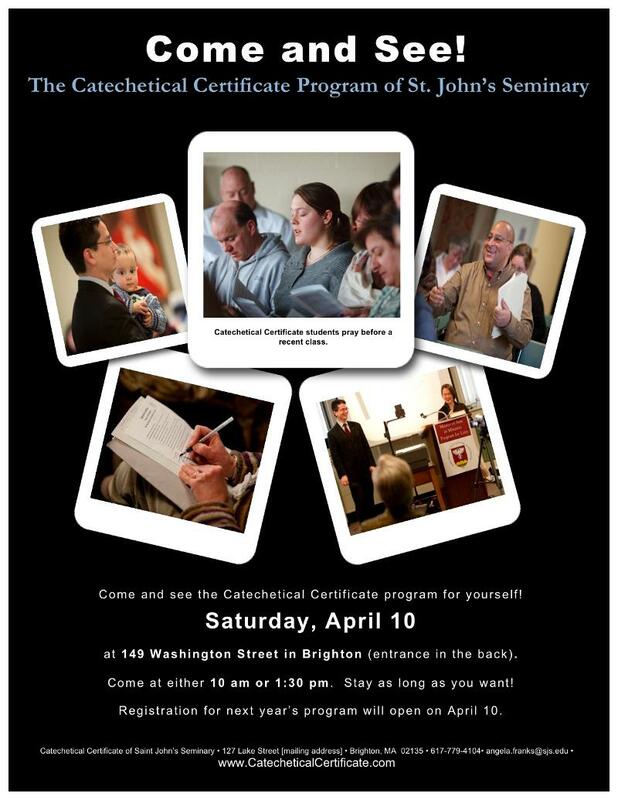 Also on “This is the Day”, will be Catholic journalist Todd Aglialoro. 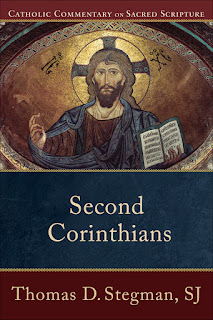 Todd writes a blog at InsideCatholic.com and is also Editor-in Chief at St. Benedict Press/Tan Books. Todd graduated with a degree in English Literature/Theology from Franciscan University of Steubenville and also studied at the International Theological Institute in Austria. 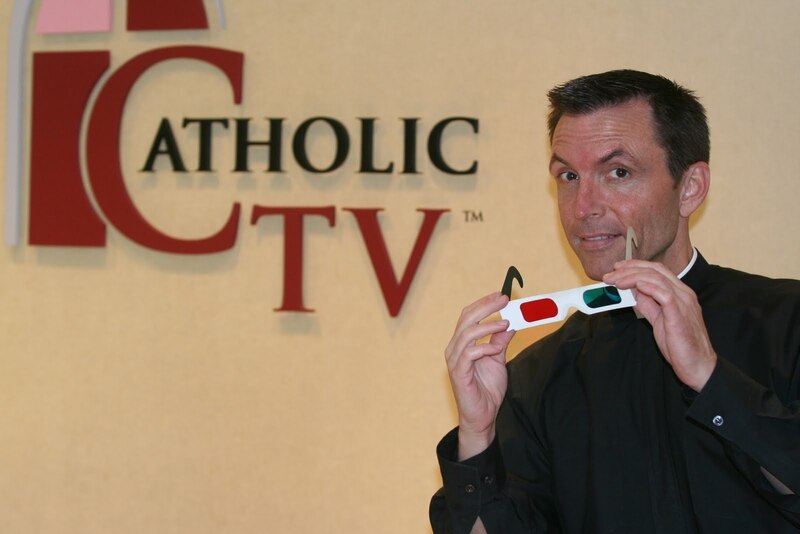 On Tuesday, March 23rd, CatholicTV announced a special 3-D version of its monthly magazine (April edition) along with special 3-D episodes of several popular CatholicTV shows. The announcement will be made during the live talk show “This is the Day”. 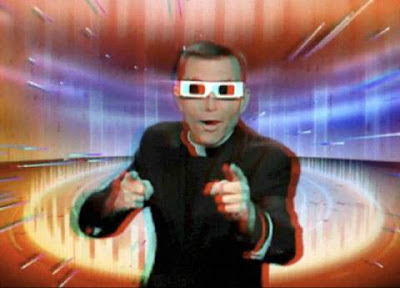 The April edition of CatholicTV’s monthly magazine will include a pair of 3-D glasses which will allow subscribers to view the magazine in 3-D and also to view the 3-D programming which is now offered only at CatholicTV.com. 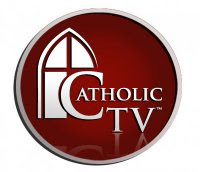 CatholicTV currently has over 1000 videos on its website. 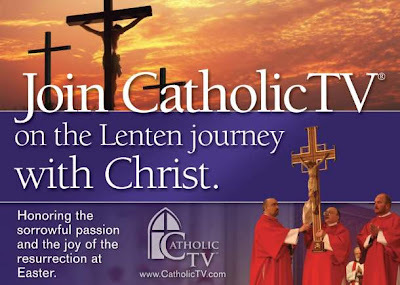 Many of these videos are full-length CatholicTV programs and are viewable in full-screen on any computer. 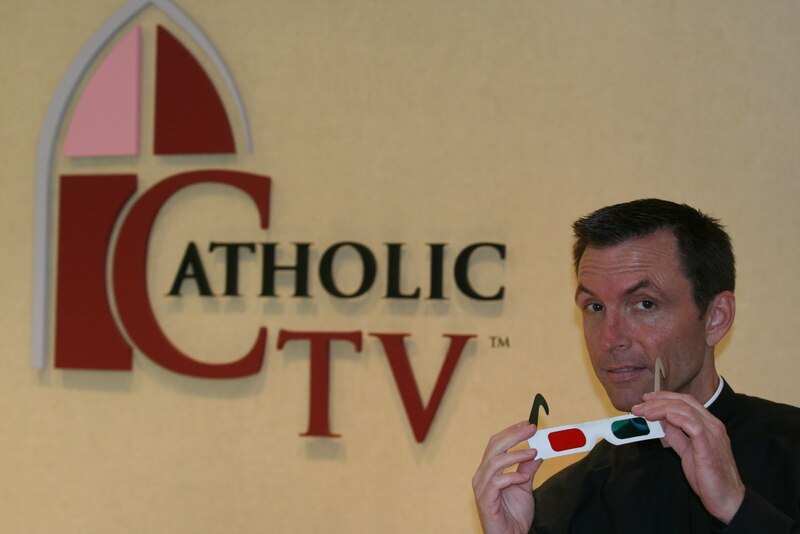 CatholicTV is also considering broadcasting a 3-D episode on television and may broadcast a special episode in order to gauge the demand for 3-D broadcast programming. The idea originally came from CatholicTV’s Director Fr. 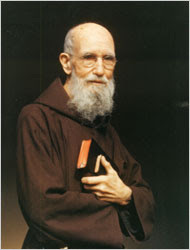 Robert Reed, who thought it would be a good idea to embrace unique technologies in order to spread the Gospel. We’ve Got to Talk- Father Dan O’Connell preaches in front of a blue screen with unusual backgrounds. He was once filmed with a superhero costume in front of a blue screen of the city. House+Home- Reality-style show which takes viewers into Catholic homes, showing how Catholic families live their faith. WOW: The CatholicTV Challenge- Catholic game show with 3rd grade contestants answering questions on Scripture and the catechism. Going My Way- A modern version of the Merv Griffin Show. Father Chris Hickey and Father Paul Rouse share their musical talents along with guest priests. This is the Day- CatholicTV’s signature talk show which has featured Johnny Pesky, Mike Lowell, Sister Helen Prejean (Dead Man Walking). The show includes Catholic News and guest appearances. Blink- Everyday Catholics throughout the country share their faith in short video segments on a variety of topics. Catholic Destinations- Senior Producer, Kevin Nelson hosts this Catholic travel show which takes viewers to interesting places of significance to the Catholic Faith. Filmed all over the U.S. and around the world. 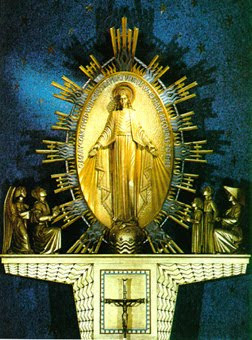 CatholicTV Rosary From Washington, D.C. -Video footage of Fr. Reed praying the Rosary in the nation’s capital, at the National Basilica. 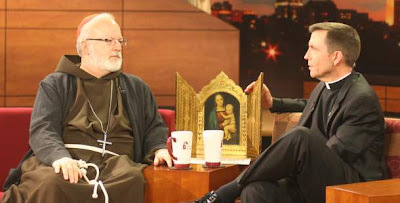 On March 23, John Regan, the author of the pro-life book “Return of the Children” will be interviewed during the live CatholicTV talk show “This is the Day”. 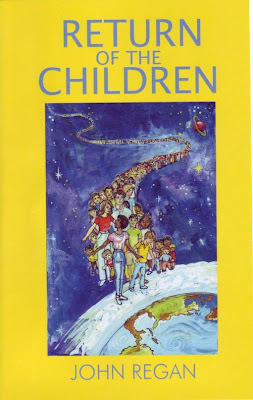 Return of the Children is a fictional story about forty million aborted American children returning to Earth to bring God's love, mercy, forgiveness and healing to their mothers, their fathers, and the abortionists. This is the Day airs live at 10:30AM ET at CatholicTV.com and on CatholicTV. The 2010 Springfield, Massachusetts Women’s Conference will also be discussed on “This is the Day.” This year’s conference will feature key note speaker Johnnette Benkovic, Founder and President of Living His Life Abundantly International Inc. and the Founder of Women of Grace, an apostolate for Christian women. Musician Sarah Hart will lead praise and worship at the conference. Sarah is a recipient of multiple Unity Awards including songwriter, producer, and Female Vocalist of the Year. She is also a founding member of Daughters of God. Catholic Women’s Conference Chairman Jean Raczkowski, and Marion Johnson (Mistress of Ceremonies) will be on This is the Day to discuss the upcoming Women’s Conference. Following the infamous Roe vs. Wade decision which legalized abortion, John managed the election campaign of a New York pro-life attorney who was seeking to unseat a town judge on Long Island. Since 1990, John has been writing religious books and two years ago perceived the need to address the most infrequently mentioned aspect of abortion; forgiveness. 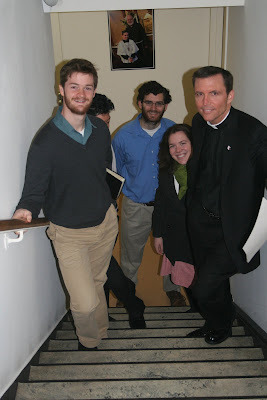 Father Reed with Katie, Joey and John, FOCUS missionaries at MIT, in the CatholicTV stairwell. That's Chris Pham's head just behind John. On March 19th, Catholic comedian and musician Nick Alexander will appear on the CatholicTV talk show “This is the Day”. Nick is a dynamic Catholic-Charismatic-Christian comedian/worship-leader/speaker. 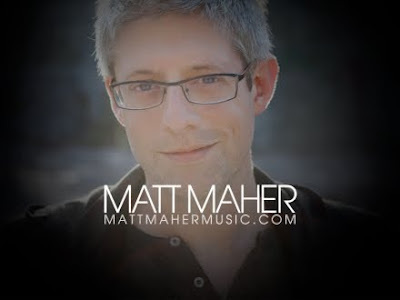 He has three comedy albums out and also approaches his audience in a way that is engaging, funny, heartfelt, and effective. This is the Day airs at 10:30AM ET at CatholicTV.com and on CatholicTV. The show is rebroadcast at 7:30PM. The show is hosted by the Director of the CatholicTV Network, Father Robert Reed, and General Manager, Jay Fadden. Author Kerry Weber will also be interviewed on This is the Day. Kerry wrote the book “Keeping the Faith: Prayers For College Students”, which she plans to talk about on the show. Kerry was Associate Editor of Catholic Digest magazine for three years before she began her present graduate studies at the School of Journalism, Columbia University. So begins this book of very realistic prayers about college life. Kerry expresses all the familiar emotions, all the highs and lows, all the fears and dreams that every college student experiences. She learned early on in her own college life that she couldn’t cope without God’s guidance and she clung to her faith to see her through. She makes a compelling case for staying close to God from the first unfamiliar days on campus, to the moment of graduation. On March 26, the Dead Man Walking School Theatre Project (DMWST project) will be discussed on the CatholicTV talk show “This is the Day”. The DMWST Project works with high schools and colleges to produce the play “Dead Man Walking” which was written by actor Tim Robbins and is based on the book by Sister Helen Prejean which was also made into a film starring Sean Penn and Susan Sarandon. This is the 6th season that the play has been presented as part of academic and theater curriculums in schools. Sister Helen’s books are accounts of her friendship with 2 death-row inmates and her call to end capital punishment. Sister Helen commits herself to the protection of life, both innocent and guilty. This is the Day airs at 10:30AM ET at CatholicTV.com and on CatholicTV. This is the Day is hosted by the Director of the CatholicTV Network, Father Robert Reed, and General Manager, Jay Fadden. 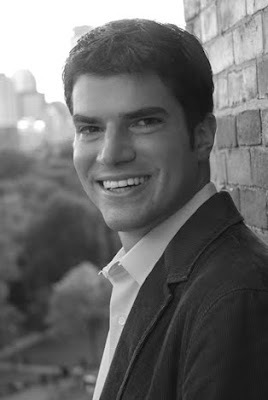 Steven Crimaldi (pictured above) will be interviewed on This is the Day. Steven is National Coordinator of The Dead Man Walking School Theatre Project. Steve is currently working on the award-winning Anti-Death Penalty Alternative Spring Break. The specific purpose of the Death Penalty Alternative Spring Break is to bring students together for five days of anti-death penalty activism, education and fun. This is the place to be if you want to become a part of the next generation of human rights leaders. The 2010 event features six innocent death row exonerees: Shujaa Graham, Curtis McCarty, Ron Keine, Derrick Jamison, Perry Cobb and Juan Melendez. They are attending alternative spring break to speak with participants about how innocent people can end up on death row. Altogether, the six exonerees attending the alternative spring break spent a total of about 65 years on death row for crimes they did not commit. CatholicTV exhibited at the Diocese of Springfield (MA) Men's Conference. What a great day! I'll be posting some pictures of Bishop McDonnell with our colleague, Mark Dupont of Catholic Communications . Whether you’re a fan of milk, dark, mint, toffee, nuts or another favorite chocolate flavor, you’ll find what you’re looking for from Catholic Relief Services partners. Fair Trade isn’t only about paying a fair price to producers; it’s also about honoring the care they put into their crops by producing high quality products. So let that chocolate melt in your mouth and savor the flavor of the fine results of their hard work! 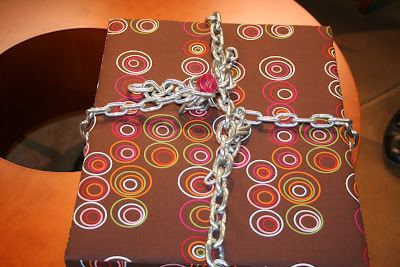 Get those Easter baskets ready! 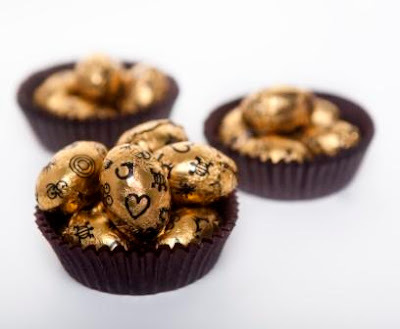 Support CRS Fair Trade when you place your order with Divine Chocolate or Equal Exchange and a percentage of your purchase will be donated to the CRS Fair Trade Fund. On March 16, “Healing Power” a film about Fr. 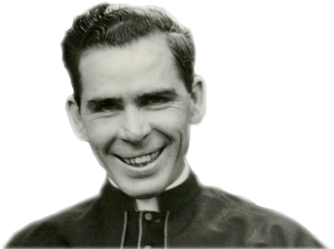 Patrick Power will be discussed on the CatholicTV talk show “This is the Day”. Fr. 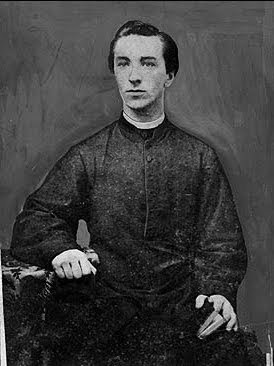 Patrick Power was a priest who died in 1869 in Brookline, Massachusetts. Since his death, over a million people have visited his grave. Hundreds have attributed healings to visiting his grave, or from rain water collected near his grave in Malden, Massachusetts. The Religious Education Congress, sponsored by the Archdiocese of Los Angeles Office of Religious Education, is the nation's largest annual gathering of Roman Catholics. The theme this year is "Incredible Abundance"
During this gathering attendees can also look forward to outstanding musical performances by top OCP and spiritandsong.com artists. 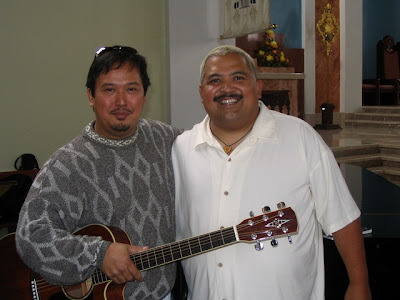 If you cannot attend the Congress and hear the great OCP/spiritandsong.com musicians then watch The Commons which is a spiritandsong production featuring your favorite Catholic artists airs on CatholicTV. The Commons broadcasts each week at CatholicTV.com and on CatholicTV at the following times (ET): Monday 6AM and 9:30PM, Thursday 2AM and 5PM.